The Wudang Mountain, the place where the rites were held by Diety Xuanwu in the legend. So the product, inherit and development of Wudang Kung fu have been influenced by the Taoist philosophical thinking. The quieting heart, sinking qi, concentrating spirit and smoothing force are the requests of wudang cudgel. It shows the calm of the tortoise and inspiration of the snake in the cudgel techniques. 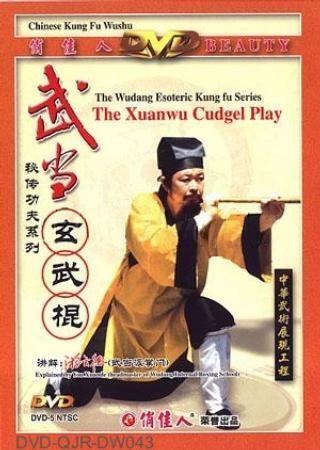 Main methods include the striking, pointing, uppercuting, parrying, clouding, sweeping, blocking and supporting, truly showing the Wudang cudgel's special characteristics of body and weapon becoming one, changing the Yin and Yang each other.